Roots are pesky things. It feels like no sooner have you had your colour done, your hair goes into growing overdrive and you’ve suddenly you’ve got obvious regrowth on your hands. Which is where root coverups come into play. There are already some trusty options out there with two main application methods. A powder you brush and smoosh into place with an eye shadow style brush, or sprays that you spritz and massage in wherever required. Now, however there are some new options on the root cover up block: a colour stick (like a hair crayon) and a magnetic powder that comes with its very own powder puff…..ooooh interesting! What is it? 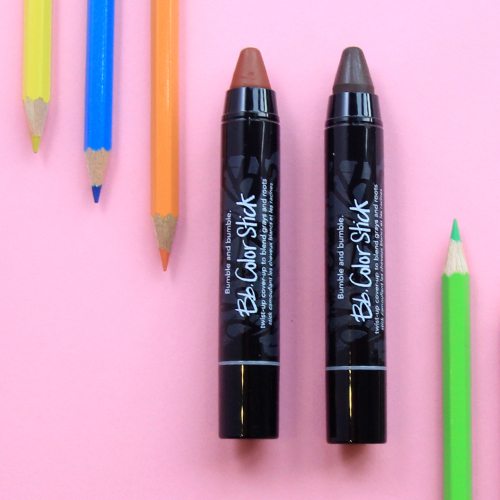 This fairly chunky crayon handily has a wind-up bottom so you don’t have to worry about finding a sharpener that fits once it goes blunt. Phew. 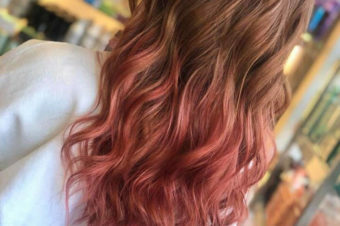 It delivers a matte colour, which we love and you can either stroke it on or if you find you’ve been a bit heavy handed, then rub it in lightly to blend it in. Shade range: There are five colours to choose from ranging from blonde to black (we’ve snapped red and brown above). Should I buy it? This is a lot easier to use than some of the root powders out there – there’s no brush required so you can literally just take the lid off and get cracking. It covers greys really well, blending highlights takes a bit more knack and a lighter touch. We also gave it a go on our brows and it worked a treat. Because it’s fairly low-maintenance in terms of packaging you need to be near a mirror when using it but because it’s the perfect size for your makeup bag you could just grab one of your compacts and that solves that problem instantly. What is it? These beauties are unique because they contain a nifty little sponge applicator in the base that you unscrew, dab into the powder – which is magnetic (more info of that to come in a sec) – and apply using the built-in mirror in the lid to get a perfect application. This is one seriously handy on-the-go toucher upper. Shade range: There are two ranges to choose from, Back 2 Blonde which comes in three blonde shades to blur regrowth. 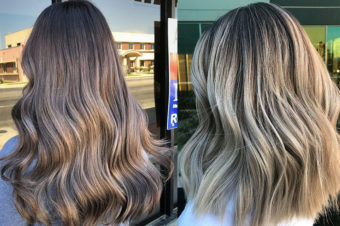 Each shade has a shimmer to it which seems a bit strange to begin with but works very well on highlighted hair (the shade above is Medium Blonde). There is also Zero Grey, which comes in three shades from light brown to black to conceal…you guessed it, greys. Should I buy it? It’s definitely worth a try. The powder is described as magnetic but that’s really to emphasise how it clings onto the hair. The puff applicator is great for covering larger areas of hair, so if you have a cluster of grey or if you want to subtley blend roots, you’re onto a winner. 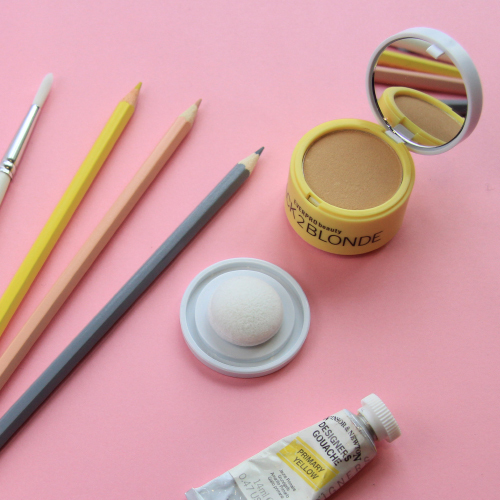 If you have rogue grey strands then you may prefer to apply the powder with a more precise brush. Oh and it’s water resistant too, so you won’t end up with colour running down your face if you’re caught out in the rain. Hairbands as good as jewellery? Almost.